TRILOK STEEL INDUSTRIES lead the stainless steel market in superb quality and service. We offer a variety of Stainless Steel Boiler Tube, manufactured as per with national and international standards.Our Stainless Steel Boiler Tubingis manufactured to specification to ensure that your end-use product requirements have been met. We are supplier, stockist and distributor of Stainless steel Seamless Boiler Tube and Stainless Steel Welded Boiler Tube.Trilok Steel Industries has earned the status of preferred Stainless Steel Boiler Tube manufacturer in India. We are well known exporter, dealer and trader of Boiler Tubein a number of standard sizes and grades, including 304/304Land 316/316L. Boiler stainless steel tubingis used for parts of energy type equipment such as boilers, steam super-heaters, steam pipelines, etc.Buy SS Boiler Tubeat best price in India. Stainless Steel Boiler Tube Size Range 6.35 mm OD upto 152.4 mm OD in 0.6 TO 10 mm thickness. 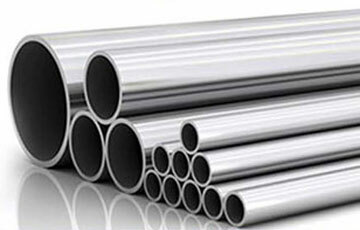 TRILOK STEEL INDUSTRIES supplied Stainless Steel Boiler Tube as hot rolled or cold drawn. Generally, these SS Boiler Tubing, the smaller diameter tubes and the thick wall tubes of larger diameters are supplied as cold drawn and subsequently they are heat treated. SS Boiler Tubes are available in various and also in custom-made sizes and shapes at affordable rates to our esteemed clients. According to the different applications, the Stainless Steel Seamless Boiler Tubesavailable in different sizes. We can customize the ideal Stainless Steel Boiler Tubingfor your unique application.Contact to Trilok Steel Industries for confirm availability and pricing. As a largest stockist we have huge inventory of Stainless Steel Boiler Tube include Stainless Steel 304 Boiler Tube, Stainless Steel 304L Boiler Tube,Stainless Steel 316 Boiler Tube,Stainless steel 316L Boiler Tube and stainless Steel 201 Boiler Tube. check latest updated price of Stainless Steel Boiler Tube. 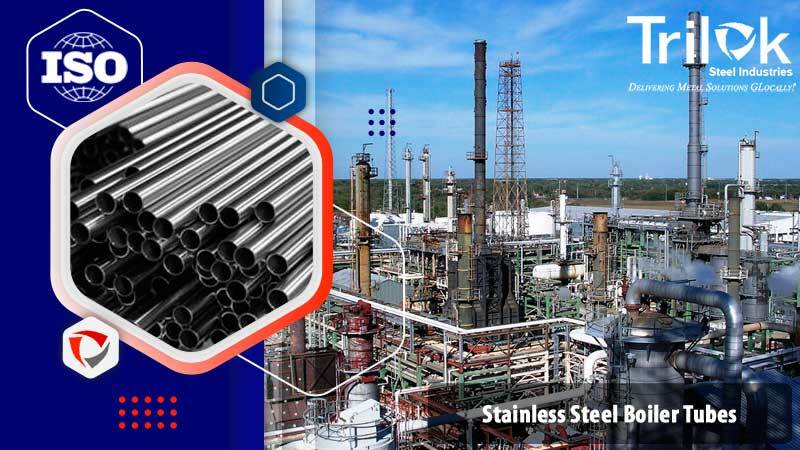 Stainless Steel Seamless Boiler Tubing, Steel Boiler Tube, SS Boiler Tube Dealer in India, High Quality Stainless Steel Boiler Tube, Stainless Steel Boiler Tubes Exporter in India, Boiler Stainless Steel Tube Exporter, Seamless Stainless Steel Boiler Tubes. Suppliers of Stainless Steel Boiler Tubes, 304 Boiler Steel Tubes, Stainless Steel Boiler Tube Exporter in India, SS 304L Boiler Tube , SS 316 Boiler Tube Supplier in Mumbai, India. Stainless Steel Boiler Tubes are finished in accordance with customer needs regarding dimensional and wall thickness specifications as well as heat treatment for more demanding applications. 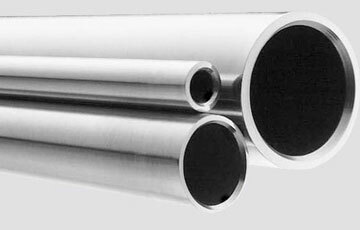 In general a Stainless Steel Boiler Tube is manufactured according to current standards API, ASTM, and ASME. If required for special projects we can also supply large diameter Boiler Tubes. L = 6 – 12 m 0 + 15 mm. Austenitic stainless steels are presented in the ASME Boiler and Pressure Vessel Code with two sets of allowable stresses. The reason for this is their relatively low yield strength. The higher allowable stress values were determined at temperatures where the usage would be restricted by the short-time tensile properties. The higher stresses exceed 62-1/2%, but do not exceed 90% of the yield strength. At these stresses, small amounts of plastic deformation can be expected. These higher stress values are usually used for super-heater and reheater tubing. The Boiler Code lists maximum allowable stresses for varying temperatures depending on the individual austenitic stainless grade. Variations of this 18 chromium, 8 nickel grade include 304L, 304LN, 304H and 304N. Each of these offers excellent corrosion and oxidation resistance along with high strength. High strengths are maintained in the low carbon grades by controlling the nitrogen content. T304 has higher carbon and a minimum solution annealing temperature to assure good long-time elevated temperature strengths. T304 grades are limited to 1650F under oxidizing conditions. Section I of the ASME Boiler Code lists allowable stresses up to 1500F. T316 is similar to T304, but offers better corrosion resistance and creep strength. The molybdenum addition to 316 increases its resistance to pitting and crevice corrosion. Variations of this grade include 316L, 316LN, 316H and 316N. T321 and 347 are variations of T304 and have comparable minimum tensile properties. These two grades are stabilized with additions of titanium and columbian respectively, along with proper heat treatment. To insure good long-time strength at elevated temperatures, T321H and 347H-like 304H-were developed with higher carbon contents and specified minimum solution annealing temperatures. Of all the stainless steels, T309 (25 chromium, 13 nickel) and T310 (25 chromium, 20 nickel) offer the maximum resistance to oxidation and corrosion. They also offer good high-temperature properties. Since these steels contain ferrite, however, they are more susceptible to sigma phase.